Eric Bledsoe recorded a season-high 30 points (12-14 FG), to go along with 7 rebounds and 2 assists to lead the Bucks to a 118-108 victory over the Magic. Giannis Antetokounmpo added 25 points (10-17 FG), 13 rebounds and 5 assists for the Bucks as well. 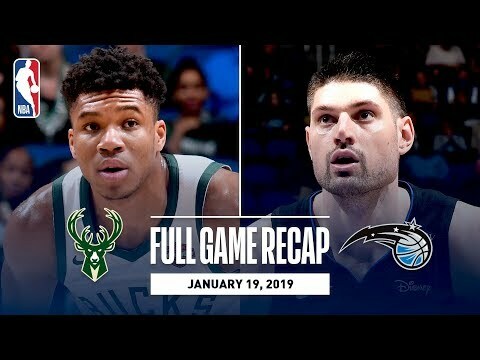 Nikola Vucevic led the Magic with a team-high 27 points (11-24 FG), to go along with 6 rebounds and 4 assists, while Terrence Ross contributed 16 points (7-15 FG) in the losing effort. The Bucks outscored the Magic 31-2 in fastbreak points en route to their 4th straight victory and 11th in their last 13 games. With the win, the Bucks improve to 33-12, while the Magic fall to 19-27.